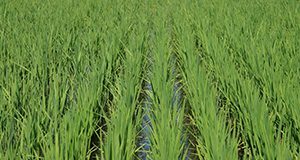 Successful weed control is essential for economical rice production in Florida. This 6-page document discusses field sanitation and tillage, water management, and herbicides. Written by D. C. Odero and M. VanWeelden, and published by the UF/IFAS Agronomy Department, revised August 2018. 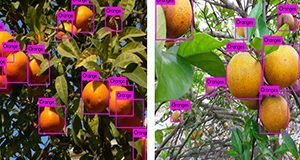 Interest is growing in minor tropical fruit crops. This 6-page publication written by Fredy H. Ballen, Edward A. Evans, Aditya Singh, and Jonathan H. Crane and published by the UF/IFAS Food and Resource Economics Department provides an estimate of the costs and returns associated with the operation of an established longan grove in south Florida. 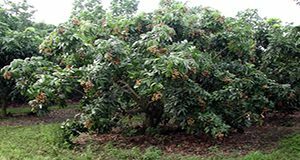 Information presented in this article was obtained through field interviews with growers and industry experts; it reflects a wide variety of production practices in small longan orchards of 1 to 4 acres and should help estimate the financial requirements of operating an established grove. Alpine strawberries (Fragaria vesca) produce edible and highly aromatic strawberries known for their excellent eating quality. 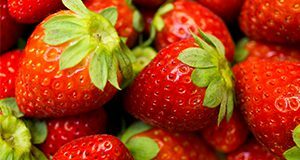 The berries are fragile and not suitable for long-distance shipping, which inhibits trade on the international market but also provides an opportunity for growers catering to local markets and for homeowners interested in growing this unique and delicious strawberry. 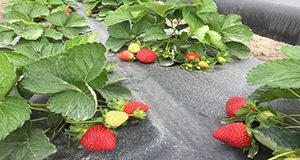 This 5-page fact sheet written by Alan Chambers and published by the UF/IFAS Horticultural Sciences Department describes yield and fruit quality for several varieties to guide potential growers. 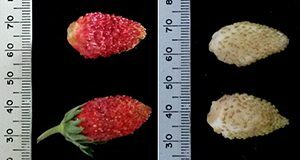 The results of this project are anticipated to benefit growers and homeowners looking to cultivate specialty alpine strawberries. 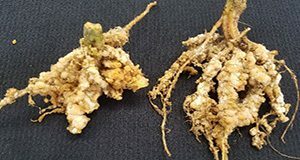 Micronutrient deficiencies can be important limiting factors in alkaline soils, with most micronutrients becoming less available for plant uptake as soil pH increases. 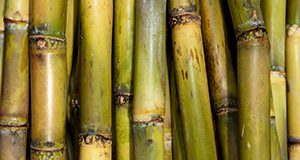 This 6-page document is intended primarily for Florida sugarcane growers but may also be useful to researchers and others interested in sugarcane nutrition. 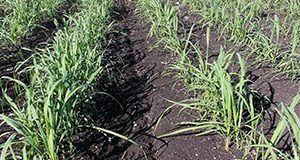 It presents revised elemental sulfur recommendations for sugarcane grown on Florida organic soils along with supporting information. Written by J. Mabry McCray, and published by the UF/IFAS Agronomy Department, February 2019. 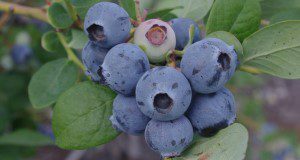 Southern highbush blueberry is the primary blueberry species grown in Florida. It is dependent upon pollinating insects for adequate pollination and fruit. 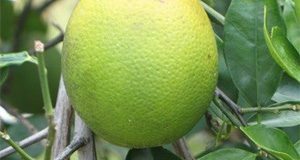 Some Florida growers have reported cases of low fruit set in recent years, in particular on the cultivars Meadowlark and Emerald, which may have been due in part to poor pollination. 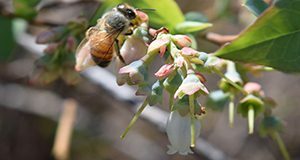 This 5-page fact sheet written by Rachel E. Mallinger and Douglas A. Phillips and published by the UF/IFAS Department of Entomology and Nematology will discuss blueberry pollinators, some causes of poor pollination, and current best practices to reduce the possibility of poor pollination of southern highbush blueberry. 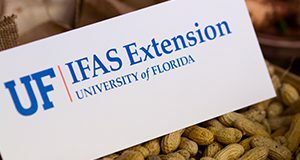 FloRunTM '331' peanut variety was developed by the UF/IFAS North Florida Research and Education Center near Marianna, Florida, and released in 2016. It combines high yield potential with excellent disease tolerance. FloRunTM '331' has a typical runner growth habit with a semi-prominent central stem and medium-green foliage. It has medium runner seed size with high oleic oil chemistry. 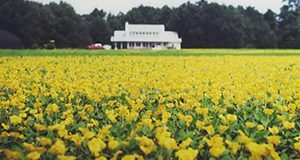 Learn more about it in this 4-page fact sheet written by Barry L. Tillman and published by the UF/IFAS Agronomy Department. 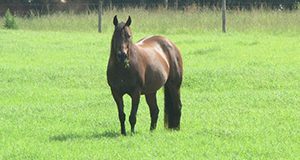 Establishing forages from seeds often requires precision equipment to achieve specific seeding rates for a proper pasture stand. Most pieces of equipment have calibration charts, which are useful guides for making an initial setting. 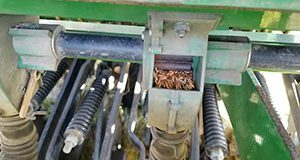 However, due to variations in seed size, purity, moisture content, equipment performance, ground speed, and other factors, calibrating equipment prior to each use is recommended. This 5-page document discusses a few calibration techniques for drills and broadcast spreaders. Written by Marcelo Wallau, Joao Vendramini, and Ed Jennings, and published by the UF/IFAS Agronomy Department, revised November 2018. Florida is the largest supplier of domestic winter strawberries in the United States, and labor is the largest cost item in the Florida strawberry production budget. Labor shortages are a major threat to the industry. 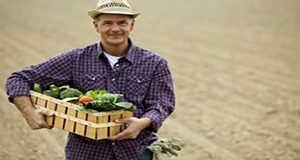 This 3-page fact sheet written by Trina Biswas, Feng Wu, and Zhengfei Guan and published by the UF/IFAS Food and Resource Economics Department investigates growers’ labor demand and labor shortages based on a survey conducted in 2016.